What Is A Flexible Laryngoscopy? A flexible laryngoscope is a fiber optic scope or camera that gives a doctor a closer look at the nose, throat, and voice box. The scope itself consists of an eyepiece, and a fiber optic light that is tiny enough to be placed in a small tube that will fit inside the nasal passageway. This scope improves the doctors ability to get a quick look at the back of the throat, nose, or vocal cords with little effect on the patient. The scope is typically used without any medication at all; however, decongestants and topical anesthetic may be needed if the nose is stuffy, leaving the nasal passageway swollen. A doctor can use a flexible laryngoscope in office, and the examination only takes five to 10 minutes to complete. Why Would a Otolaryngologist Use This Device? Doctors use this test with intent of finding the source to any of the symptoms a patient is experiencing. Most common uses are for infection, inflammation, abnormalities or foreign objects. Voice Problems that last more than 3 weeks. 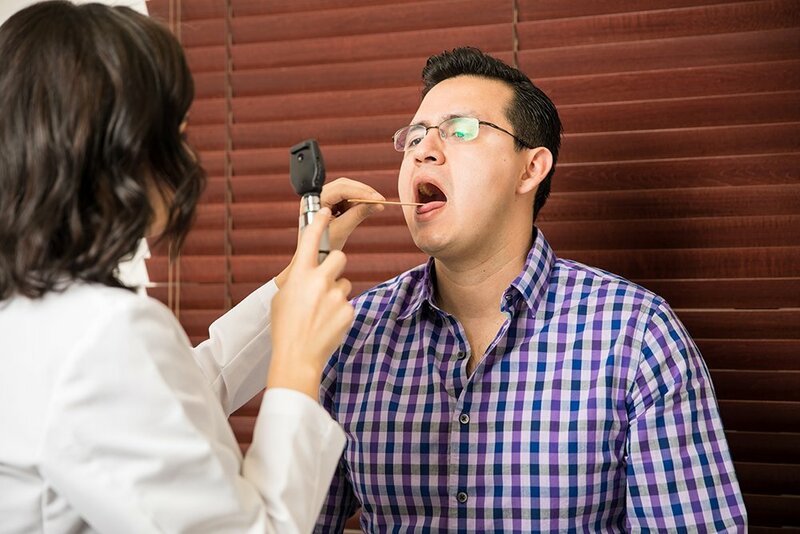 A flexible laryngoscopy examination can additionally be used to collect a sample of tissue to be tested under a microscope, or to remove an item that is blocking an airway. What Technology Do Doctors Use? Many doctors like to use the Olympus ENF-GP fiber rhinolaryngoscope. This scope produces high resolution images that give otolaryngologists a good understanding of what the patient needs as a treatment to his or her symptoms. This device specifically is extremely portable. It is compatible with many additional fiber optic parts. One being the EndoLED, a light that makes the image even more visible. Can Children Be Examined With This Scope? A laryngoscopy is a safe way for doctors to take a closer look at a child’s throat, vocal cords, and nose as well. Older children typically have no problem with the laryngoscopy, but some younger children aren’t as comfortable. If this is the case, the doctor can make a decision to use a topical anesthetic that will only numb up the nose, try a decongestant to allow swelling to reduce, or do a different examination called upper aerodigestive tract endoscopy under general anesthesia. A parent can prepare for the examination by helping his or her child remain calm before and during. The test can also engage the gag reflex; therefore, coming in on a full stomach isn’t ideal.